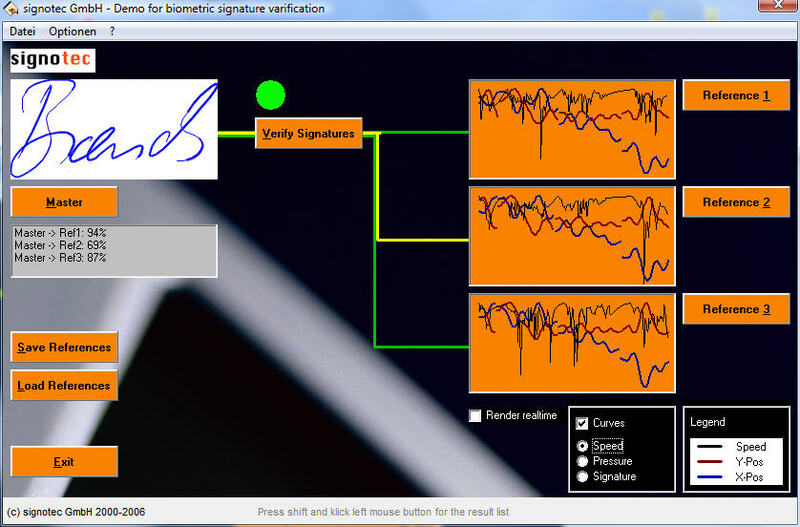 The biometry API is a supplement to the signoAPI. 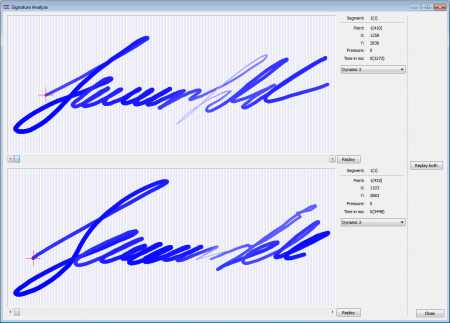 Signatures can be compared on the basis of their static characteristics (image only), but above all also on the basis of their writing characteristic (dynamic). 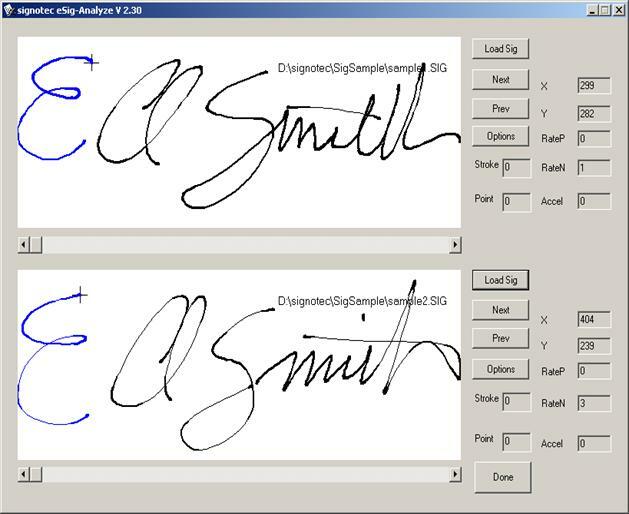 The signotec software is based on mathematical algorithms that we have developed ourselves, and is one of the best modules available. 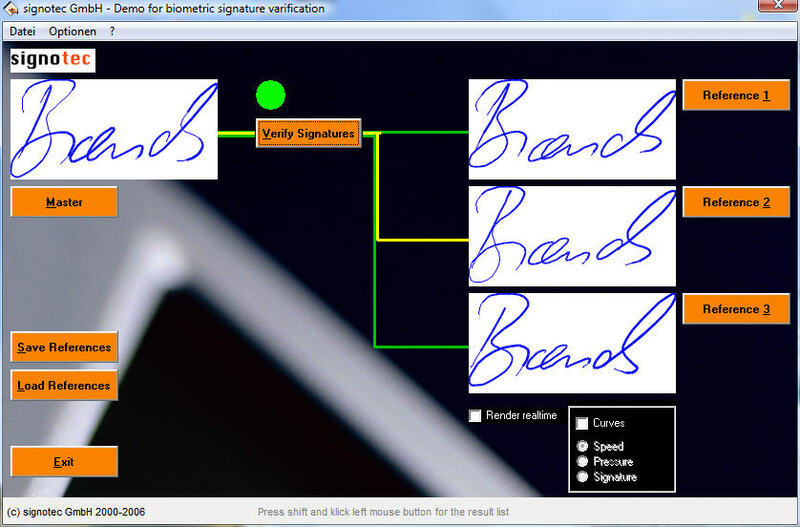 Pictures from the Demo and Test Application.